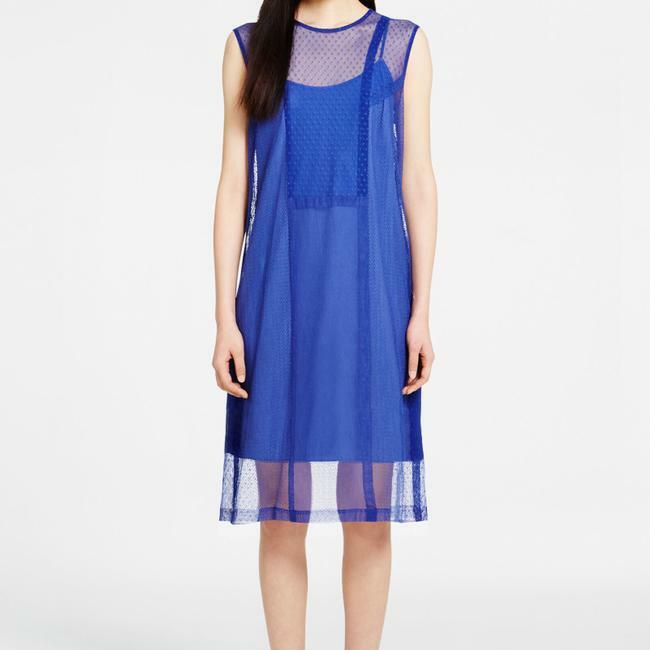 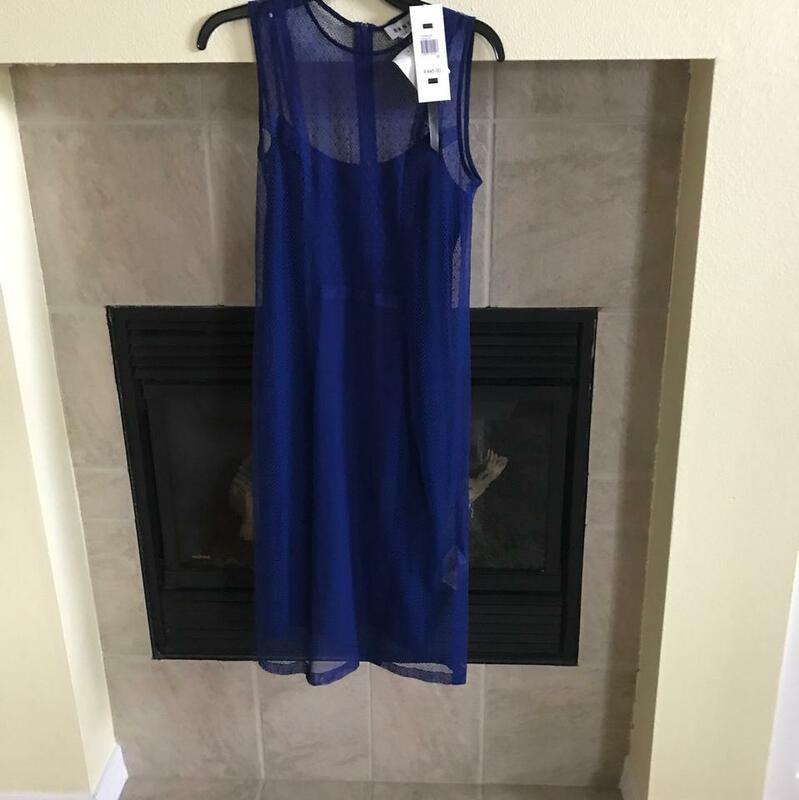 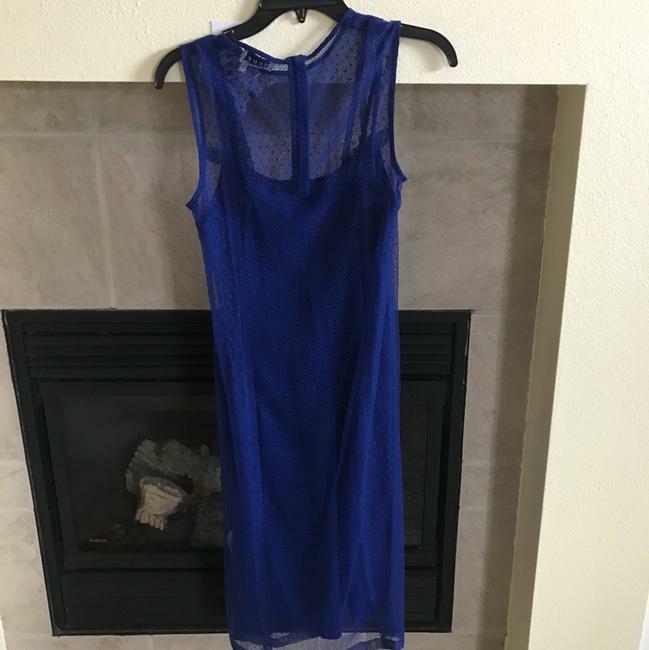 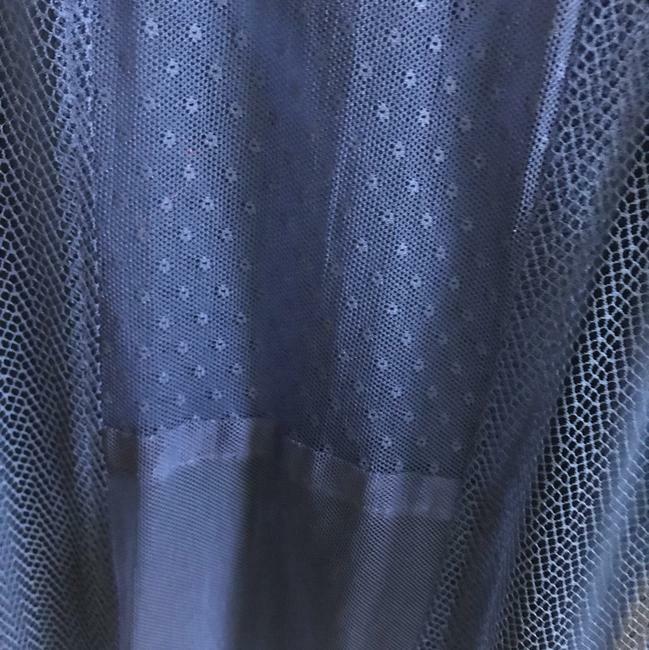 Blue cotton blend sleeveless tulle dress from DKNY featuring a round neck, sheer panels, a back zip fastening, a mid-length and a straight hem. 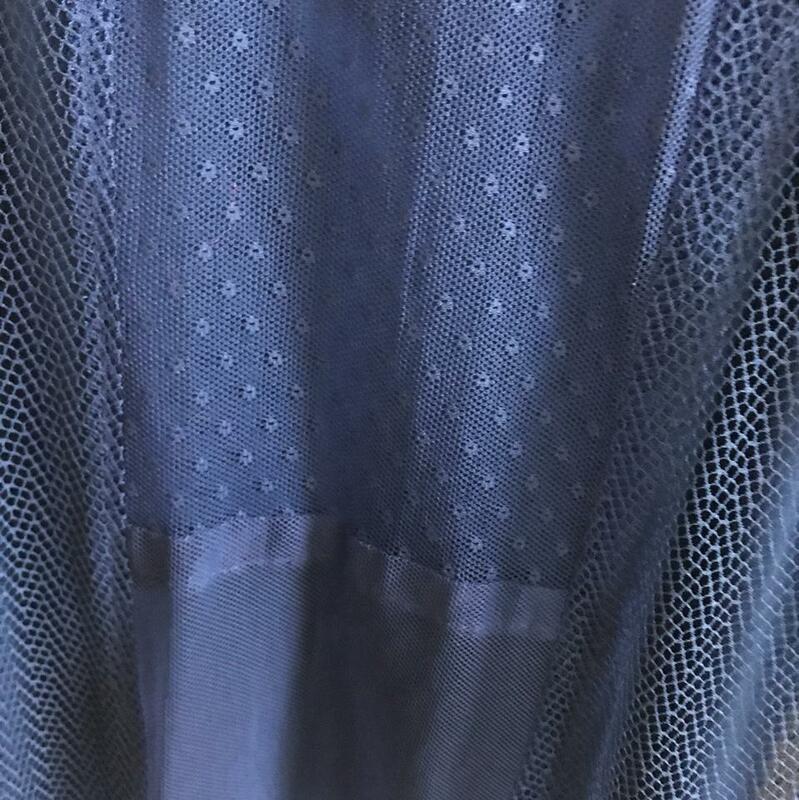 Farfetch ID: 11384178. Dress says size P.